Today, despite being March, its a wopping 17c outside. 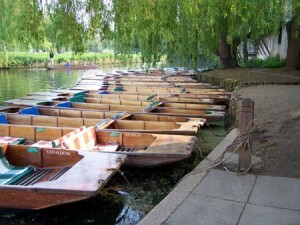 What better way to spend a relaxing afternoon then by punting yourselves down the River Cam . Next Thursday we are giving EC students a chance to have a go themselves and best of all, this activity is free! Pick up your activity programme for more information.